Movie: "The Fast and the Furious"
Brian O'Connor (Paul Walker) is an undercover police officer investigating a series of truck hijackings. The police believe the hijackers are heavily involved in the illegal street racing scene. 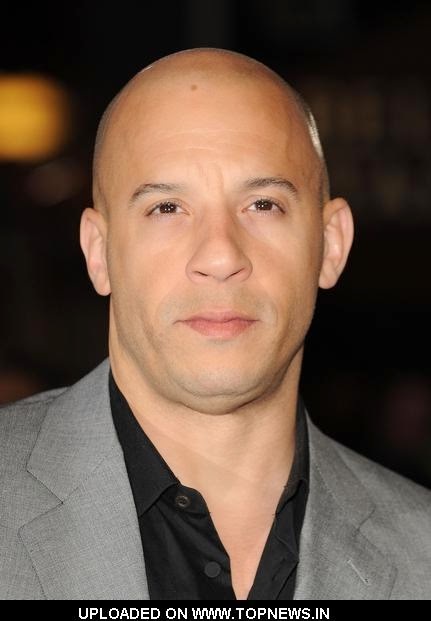 Brian's main focus of the investigation is to get close to a man named Dominic Toretto (Vin Diesel), who is highly respected in the street racing world. As he gets closer to Dominic and his team, Brian has to decide where is true loyalties lie. The two share a bromance and connect through their mutual love of cars. Brian proves his 'machismo' to Dominic during a street race and comes to his rescue when he's in a jam. Though their friendship had a rather rocky start, Dominic begins to accept Brian into his circle, which is more like a family than simply a group of friends. From there, we watch a lot of vrooming, booming, chest puffing, explosions and some downright terrible and cheesy dialogue, but it's really not the worst thing ever. 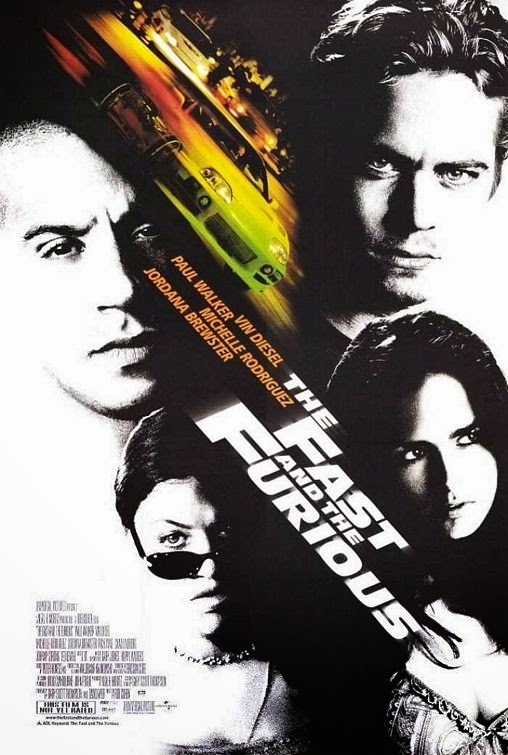 Paul Walker fits his role just fine as does Vin Diesel, both of whom became household names after this movie's initial success. Sure, one could pick apart the drag racing scenes when it comes to excessive shifting, pulling off a wheely while smoking your tires or why it appears to take them a minute and a half to drive down what is supposed to be a ten second quarter mile, but those scenes are essentially filler anyway and an excuse to add some fast, slick, sleek and cool looking cars to flash up the story a bit. The true core of the plot, no matter how poorly it's told, lies in who is hijacking the trucks, as well as whether or not Brian can overlook his friendship with Dominic and put his apparent love for Dominic's sister Mia, played by Jordana Brewster, aside when comes to doing his job. It's basically "Point Break," but with cars instead of surfing. That doesn't stop the first film in this franchise from being a moderately entertaining movie.